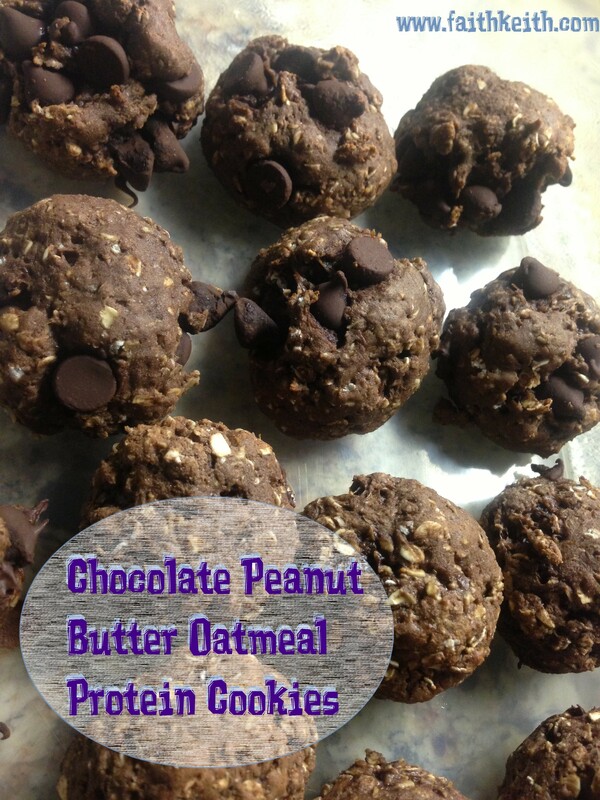 Easy, healthy, CLEAN cookies for even the bodybuilder in my house. These take me 15 minutes! 8-10 minutes in the oven and voila! Bake for 8-10 minutes. Careful not to overcook – almost better to slightly “under-cook” these. The eggs will be cooked within the first few minutes, and the oats (especially if you use quick oats) will be chewy enough early on. Under baking these means for softer cookies rather than crunch bars or that terrible protein spongy-ness. The above directions are what helped me get a texture that was really enjoyable for even the non-healthful eaters of our home, BUT it does not need to be followed to the letter. For example, you can combine all ingredients at once to save you time; you can also drop the dough by the spoonfuls on to your pan (no ball forming necessary). The key thing is not over-baking.